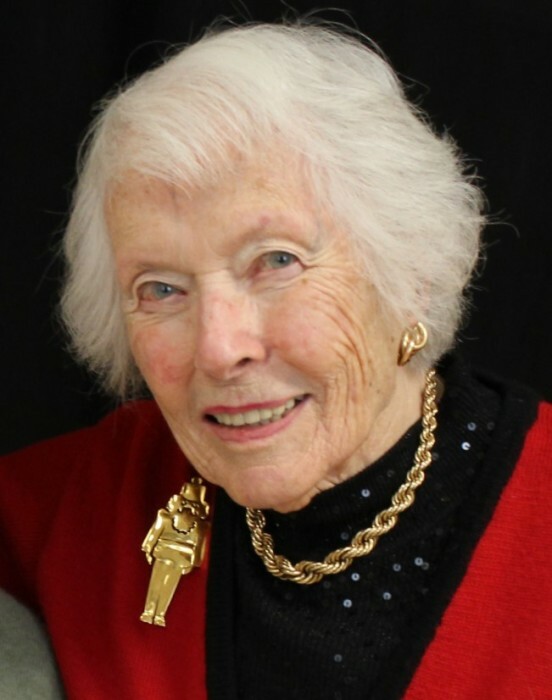 Eleanor Berthoud Miller, 93, of Asheville died on March 5, 2019 at Solace Hospice Center. She was born to Rose English and Charles Ernest Berthoud on May 2, 1925 in Montclair, NJ. She was pre-deceased by her brothers, Charles English Berthoud (Shirley) and John Ramseyer Berthoud (Joan). Eleanor was happily married to Paul Huffman Miller, her golfing buddy, bridge partner, father of their three children, and life companion for 58 years until his death in 2015. Eleanor graduated from Montclair High School and Berkley Secretarial School. She loved her career as a secretary, working in New York City until marrying Paul in 1956. They enjoyed a wonderful life together living in Johannesburg, South Africa; Montclair and Sea Girt, NJ; Louisville, KY; Buffalo, NY; Attleboro, MA; and Asheville, where they happily resided for 25 years, with the last eight years at Givens Estates. Eleanor was a determined and dedicated volunteer who spread her love and considerable talent far and wide. A long time member of The Cathedral of All Souls, she served for many years on the Cathedral’s Altar Guild. As a knitter and seamstress, Eleanor earned her 1000+ hour volunteer pin from Mission Hospital creating baby hats and booties for premature newborns in Asheville, Chapel Hill, and beyond. Eleanor was a 40-year member of P.E.O. and for 20 of those years, a tireless and gracious Bed and Breakfast host, raising well over $10,000 for her P.E.O. chapter, AD, for educational scholarships and grants. Living to cherish her memory are sons, Charlie (Lisa) of Birmingham, AL; Bruce (Amy) of Louisville, KY; daughter, Ann Miller (David Selzer) of Ottawa, ON, Canada; grandchildren Katherine Miller Justice (Jamie), Jack Miller; Christopher Miller; Hannah Miller-Selzer, Rachel Miller-Selzer; and many nieces and nephews. The family wishes to thank the staff of Solace Hospice, the clergy from All Souls, and the Ministry staff from Givens for your extraordinary care and compassion. A memorial service will be held on March 30, 2019 at 1:00 pm at The Cathedral of All Souls, 9 Swan Street, Asheville. Flowers gratefully declined. Memorials can be made to All Souls, P.E.O., or Solace Hospice c/o WNC Ridge Foundation PO Box 25338, Asheville 28813. Private burial at the Western Carolina State Veterans Cemetery, Black Mountain. Godspeed and farewell Eleanor, Mom, Gammy, Aunt El. You were a woman of great faith and character and a wonderful wife, mother, mother-in-law, grandmother, aunt, and friend. You will be dearly missed.